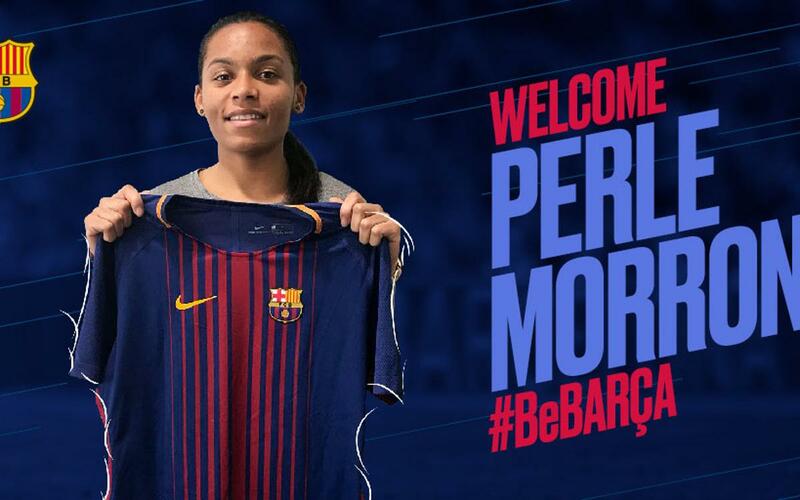 FC Barcelona have reached an agreement with Paris Saint-Germain for the loan signing of Perle Morroni, who joins Barça Women through to the end of the season. The 20-year-old French left back underwent a medical and fitness tests this Wednesday morning at the Hospital de Barcelona and the Ciutat Esportiva Joan Gamper training facility, before signing a contract that will keep her at FC Barcelona through to June of 2018. A speedy full back, 1,57 tall and weighing 55kg, Morroni hails from Montpellier but has spent the entirety of her professional career to date at PSG. Despite her youth, she is an experienced player and has featured for France at youth level, winning the Under-19s European Championships with her country. Morroni, who faced Barça in the quarterfinals of the 2015/16 Champions League when she was just 18, will use the number ‘27’ at the Catalan club.